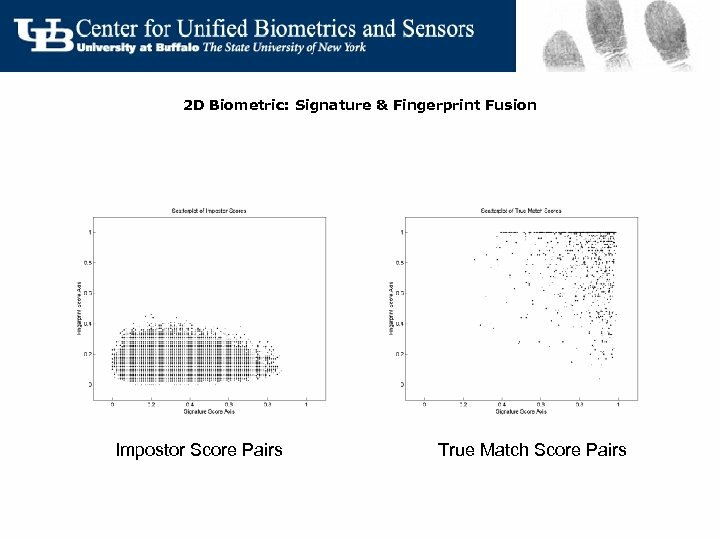 Identification problem (contd. ) 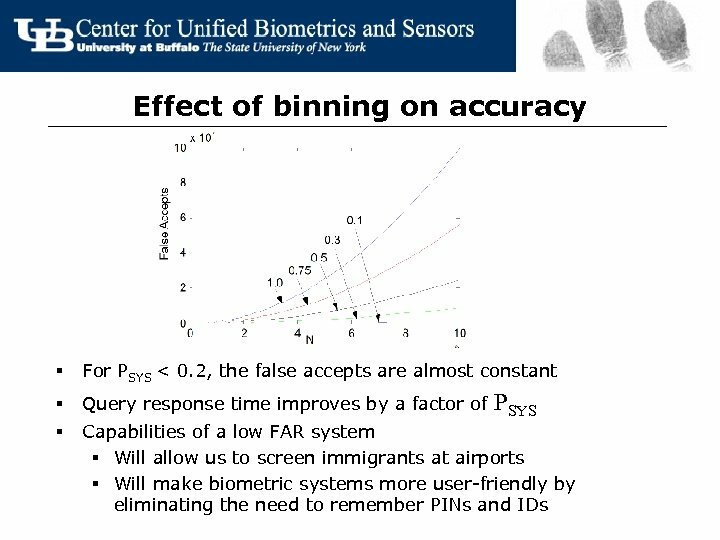 § § § Even if FAR = 0. 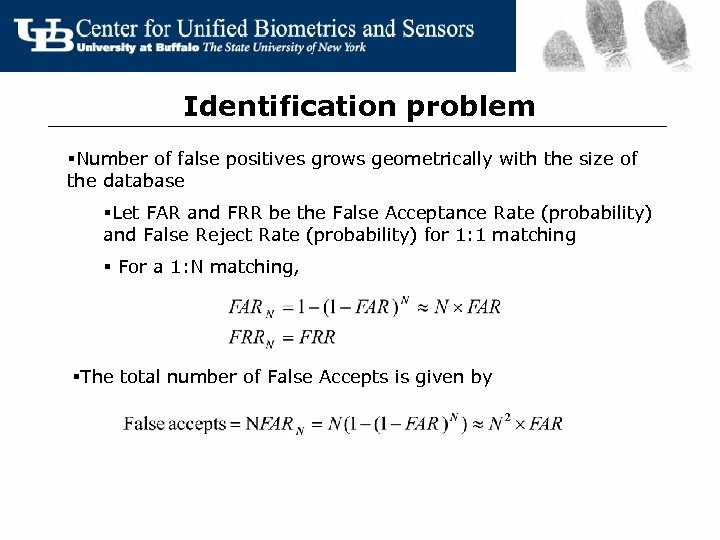 0001%, False accepts = 1 in 10 for N=100000(lower bound) in the identification case. 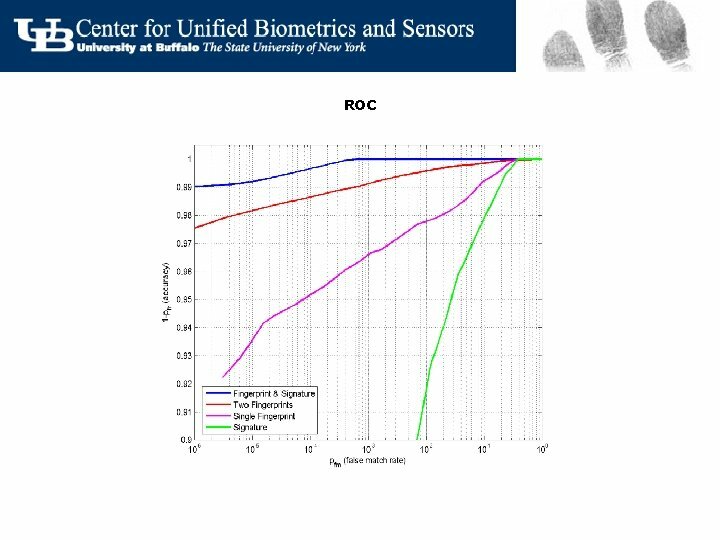 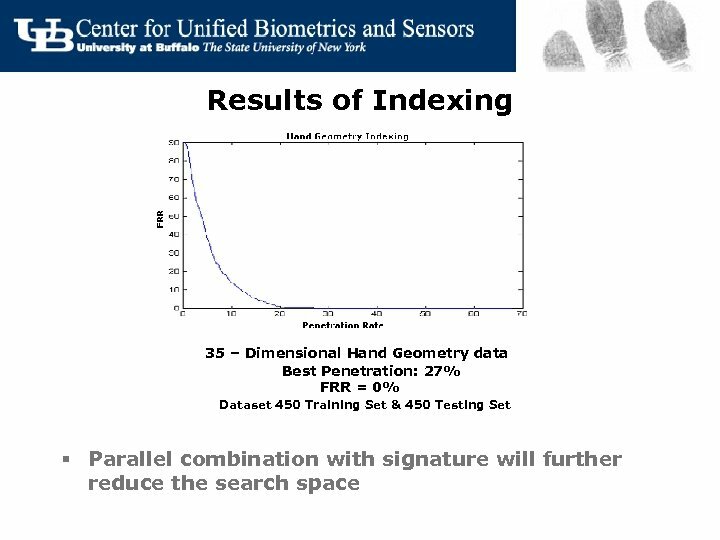 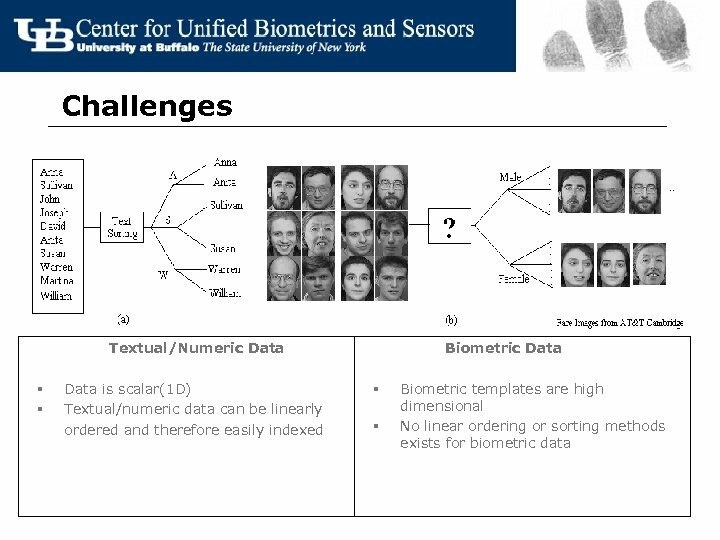 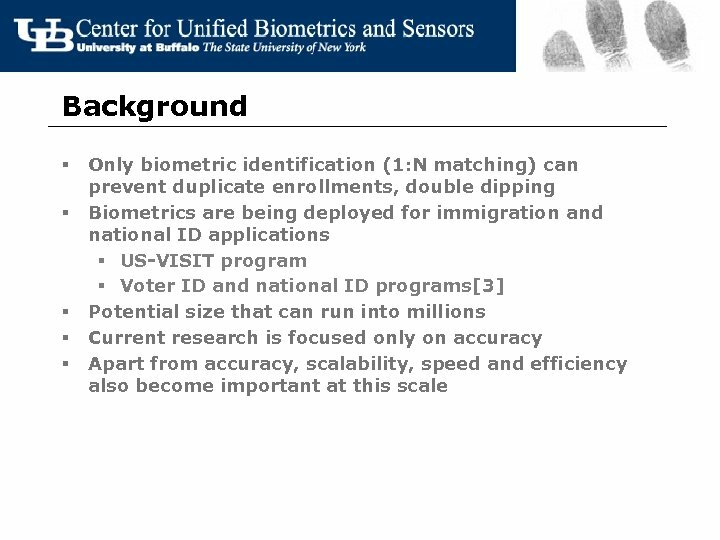 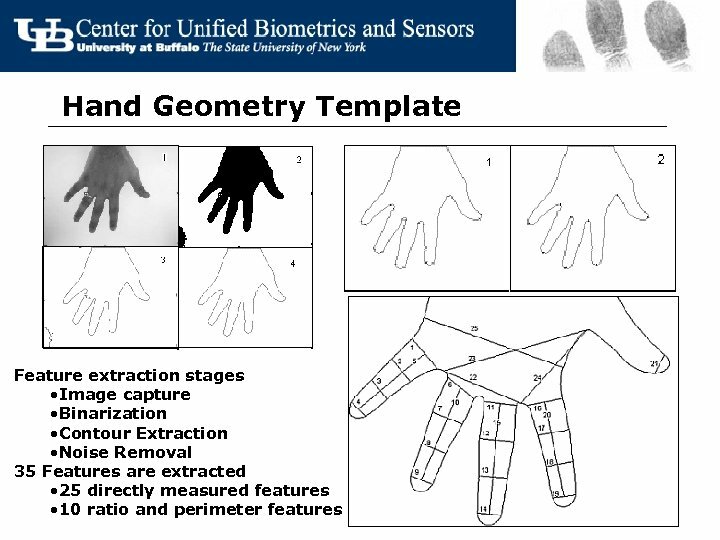 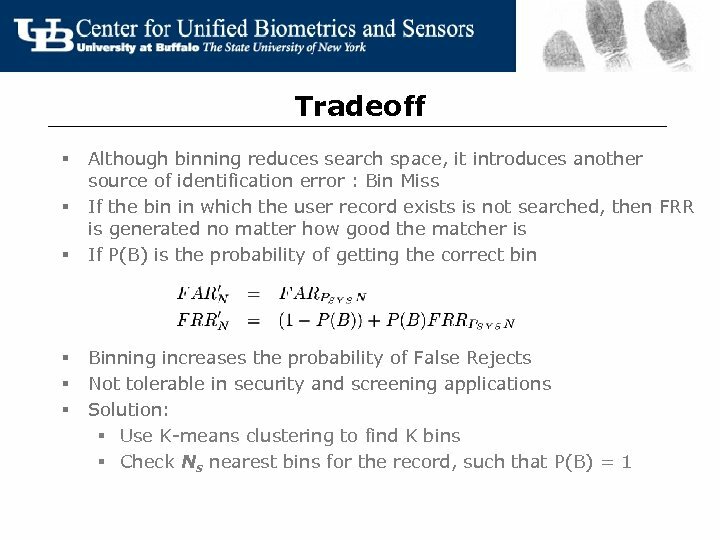 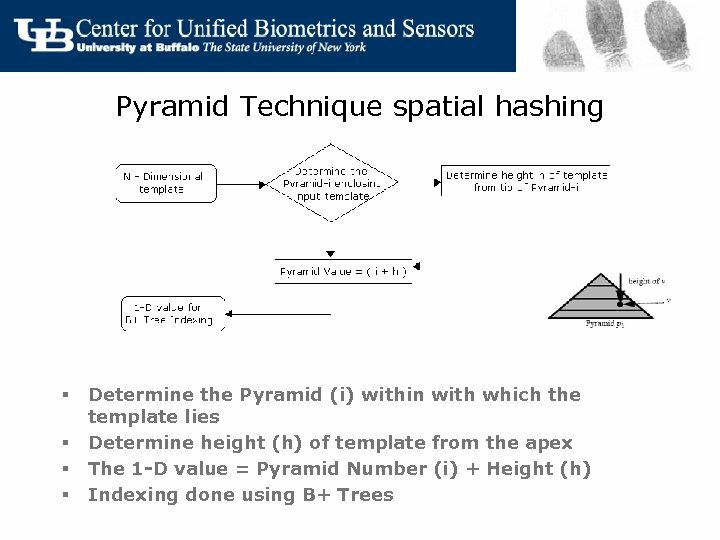 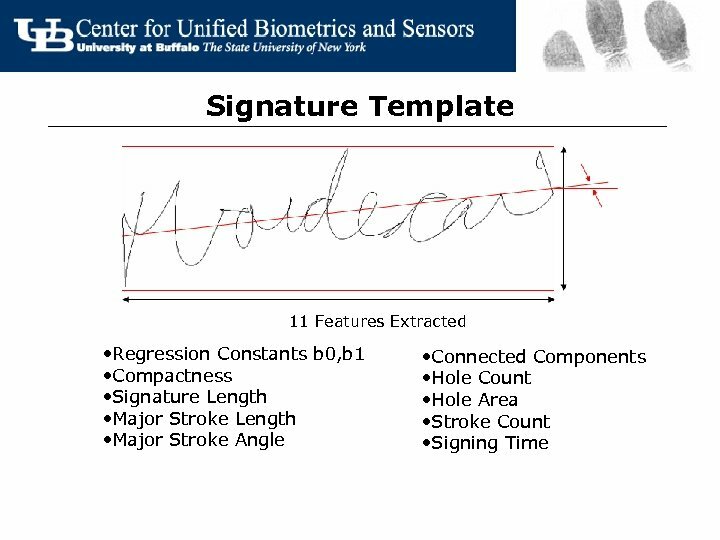 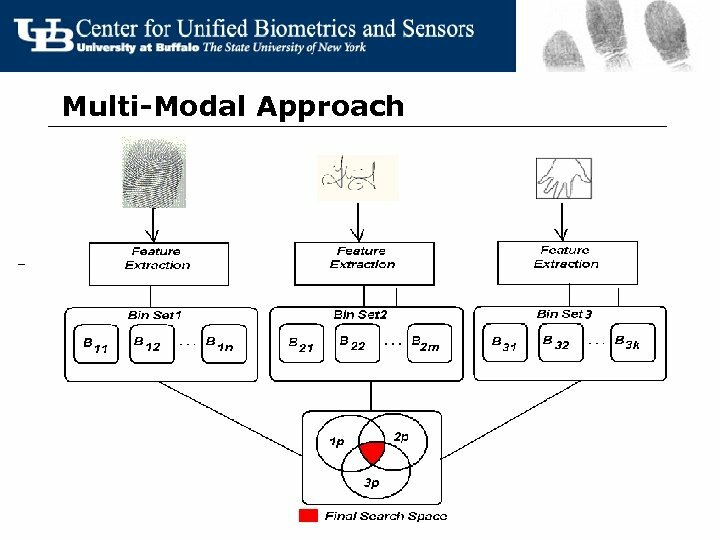 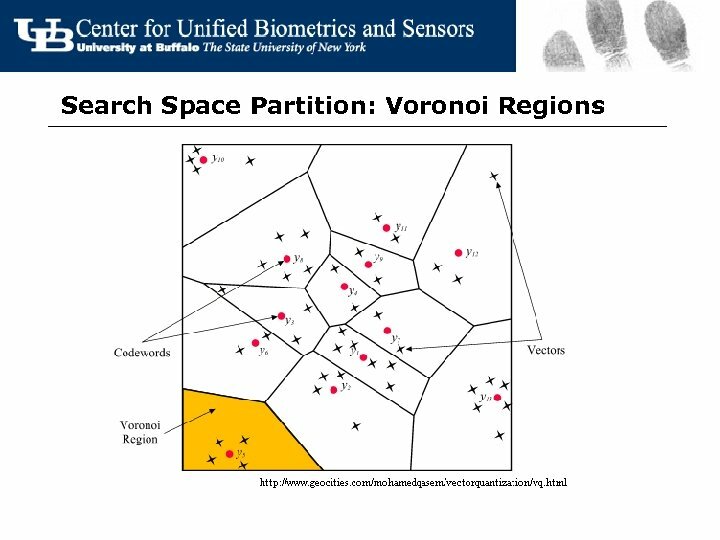 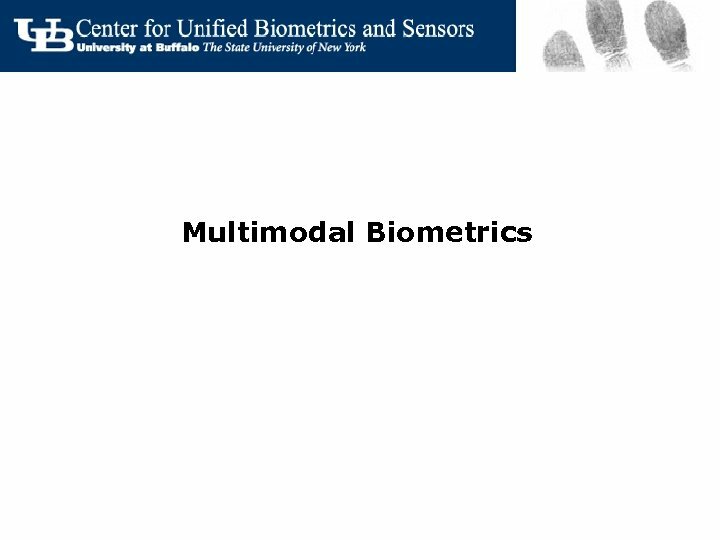 No single biometric is capable of meeting this security requirement individually Ways to reduce identification errors: § Reduce FAR § FAR is limited by feature representation and the recognition algorithm § Cannot be indefinitely reduced § Reduce N § Classify or index the biometric database. 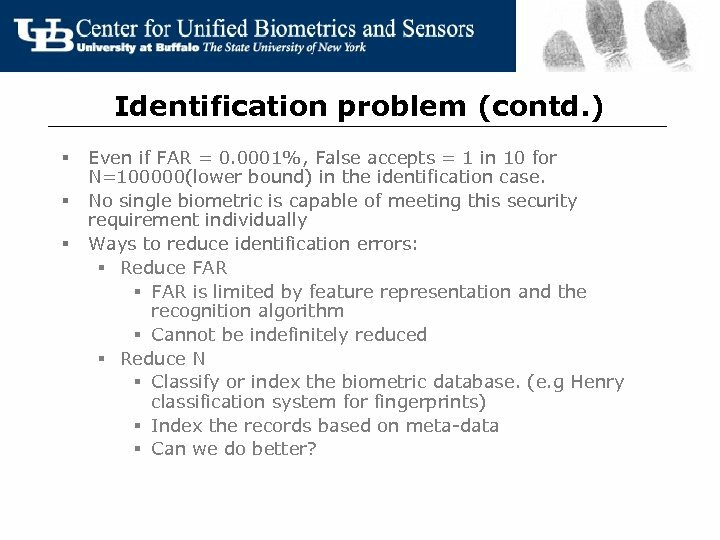 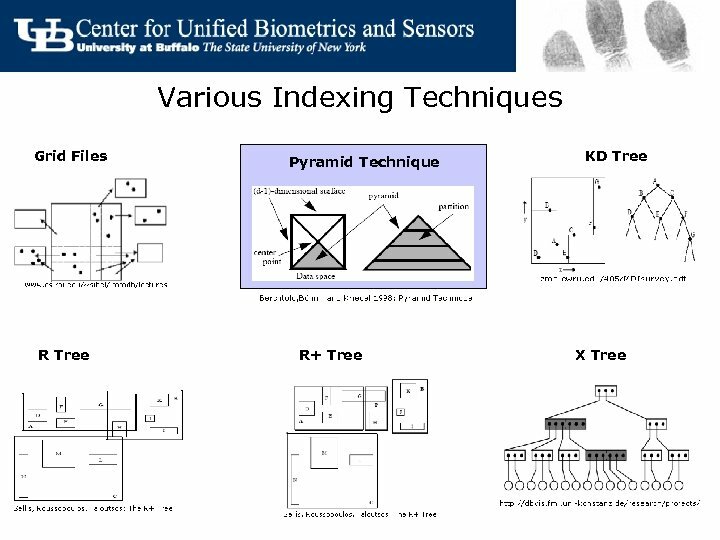 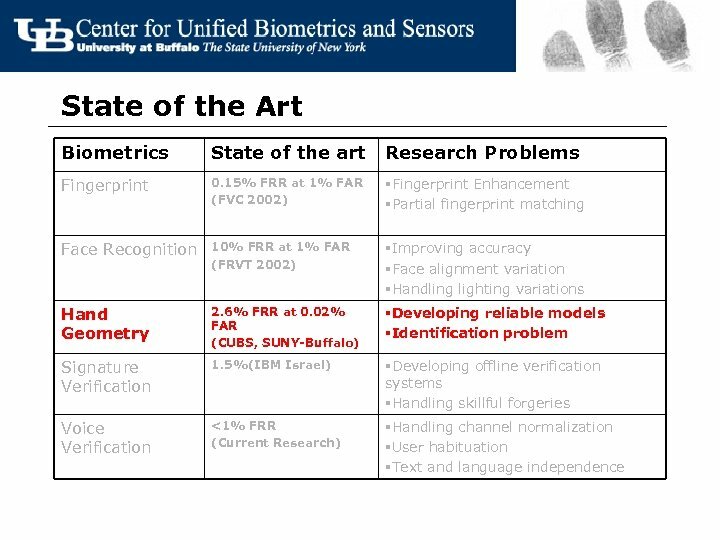 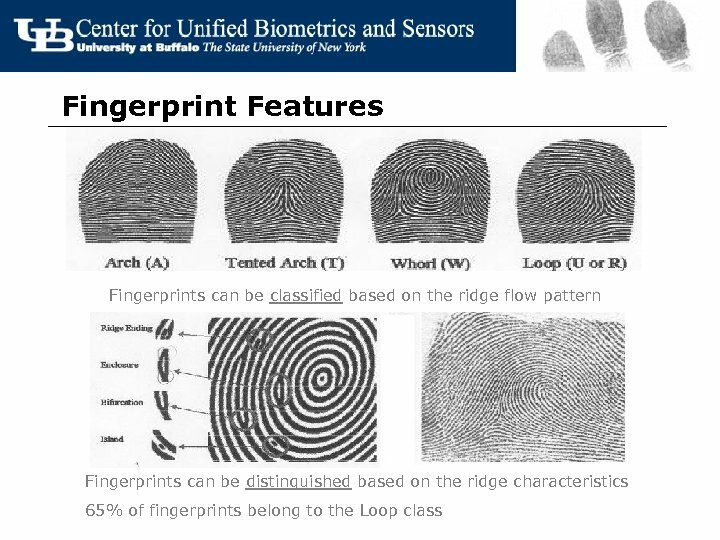 (e. g Henry classification system for fingerprints) § Index the records based on meta-data § Can we do better? 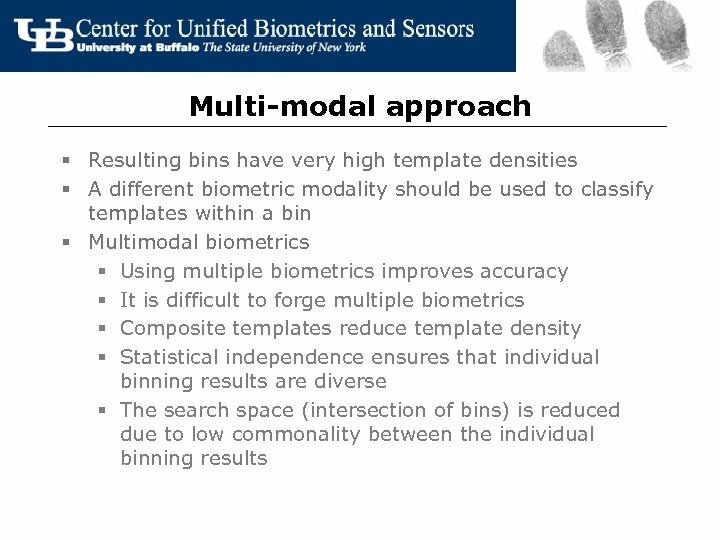 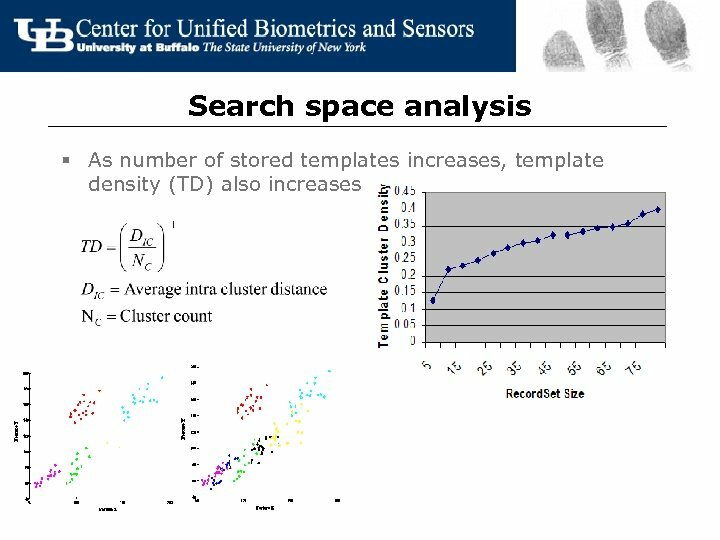 Binning § Binning can be used to achieve a smaller PSYS § Partition the feature space § Each bin is represented by a cluster center CK § Records are compared with only NB cluster centers § Bin representatives are computed offline during training § Challenges § How to handle clustering of large databases? 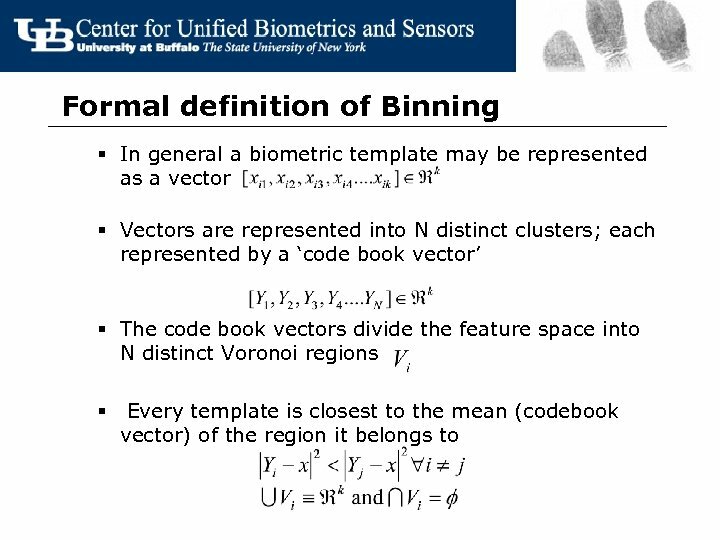 § How to handle additions and deletions? 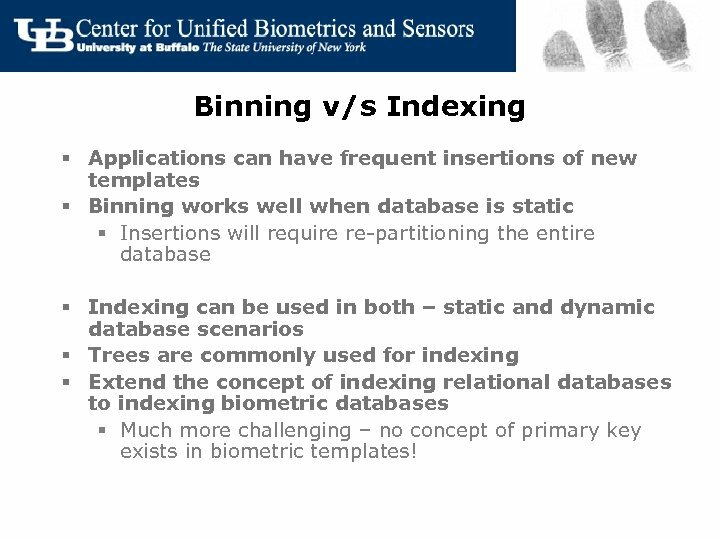 Binning v/s Indexing § Applications can have frequent insertions of new templates § Binning works well when database is static § Insertions will require re-partitioning the entire database § Indexing can be used in both – static and dynamic database scenarios § Trees are commonly used for indexing § Extend the concept of indexing relational databases to indexing biometric databases § Much more challenging – no concept of primary key exists in biometric templates! 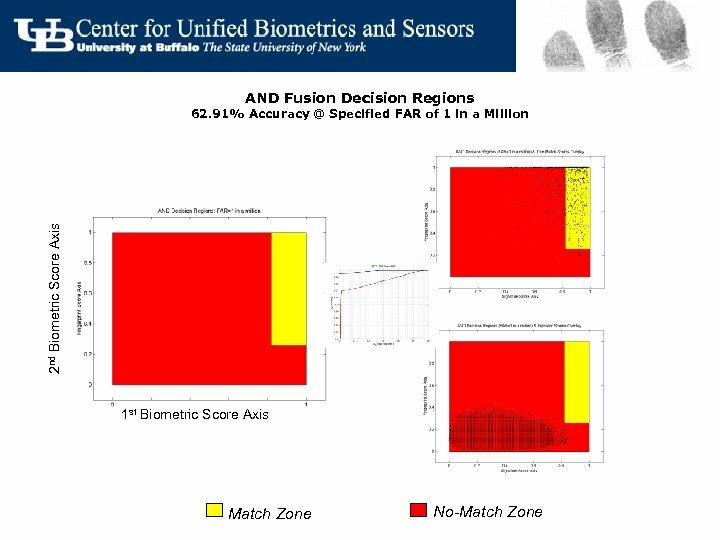 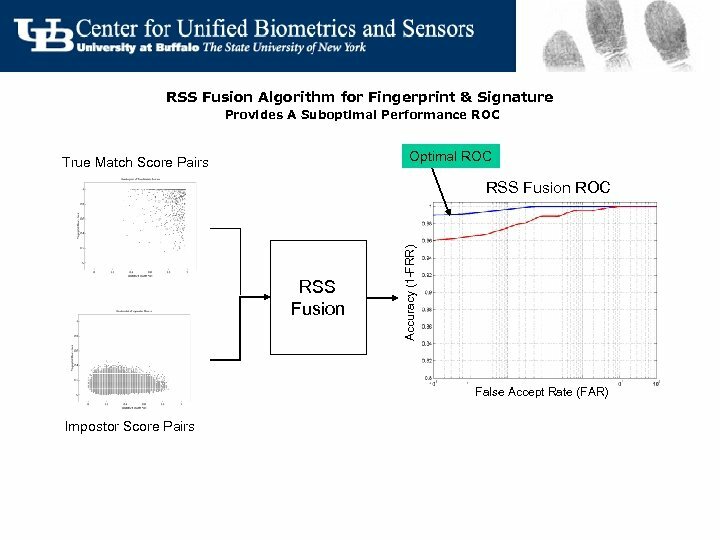 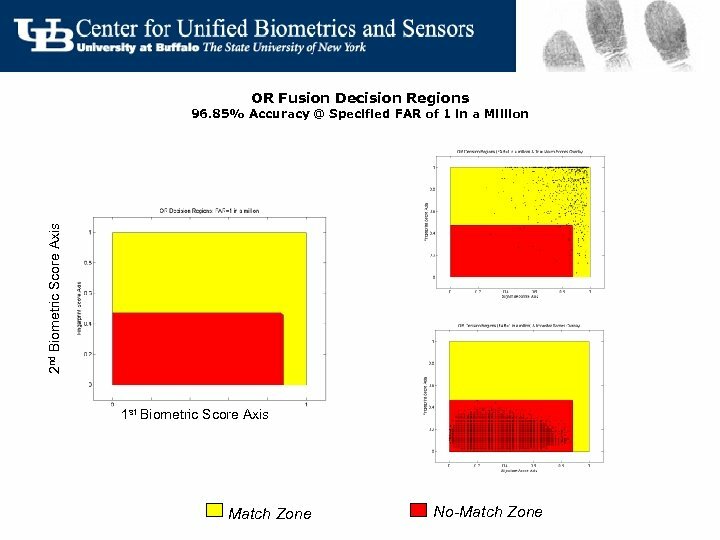 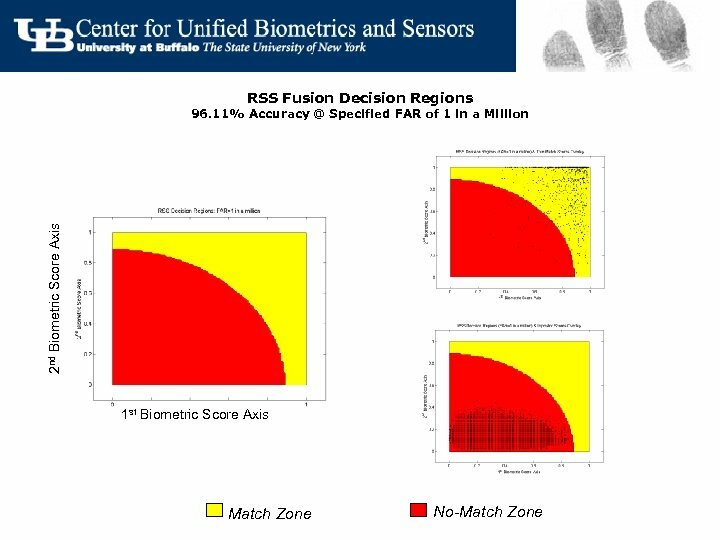 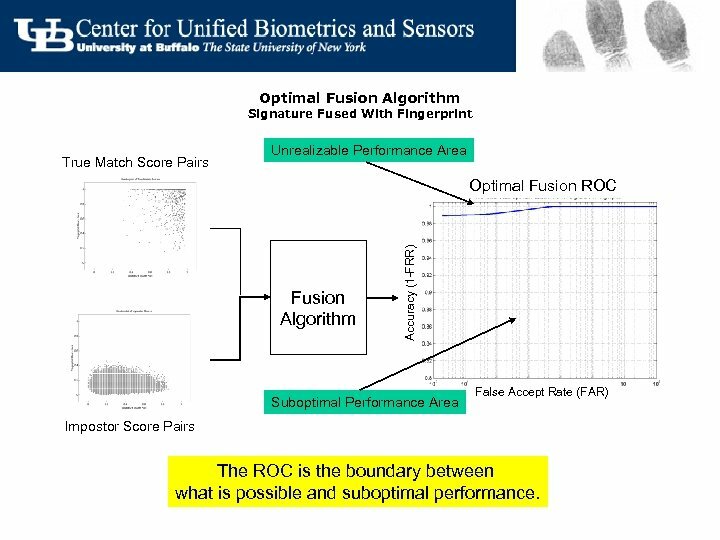 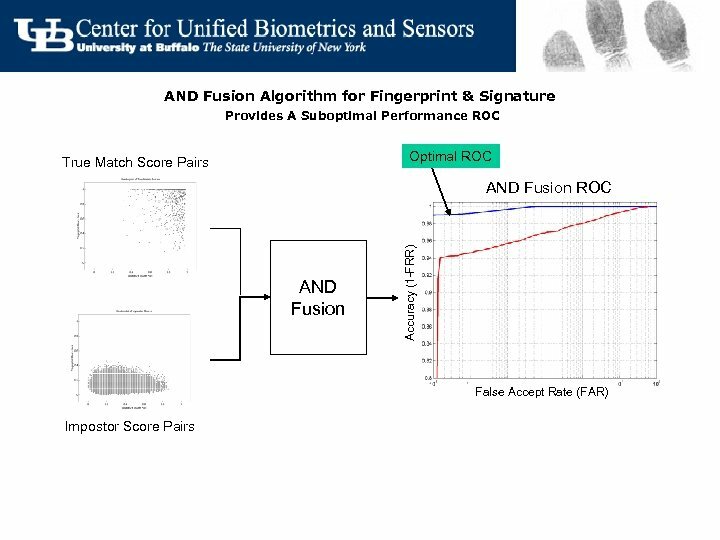 Optimal Fusion Algorithm Signature Fused With Fingerprint True Match Score Pairs Unrealizable Performance Area Fusion Algorithm Accuracy (1 -FRR) Optimal Fusion ROC Suboptimal Performance Area False Accept Rate (FAR) Impostor Score Pairs The ROC is the boundary between what is possible and suboptimal performance.